Portlanders know how to mix the urban (killer coffee, music and art) and the small-town (easy walking, biking and socializing). There’s no end to the city’s great restaurants, coffee shops, hot spots and places to explore. That’s why, when we started planning the Google Offers beta, we knew Portland was the ideal place to get it all kicked off. Today, Google Chairman Eric Schmidt and VP of Commerce Stephanie Tilenius announced at the D9 Conference that we’re launching Google Offers beta in Portland, Ore. tomorrow. 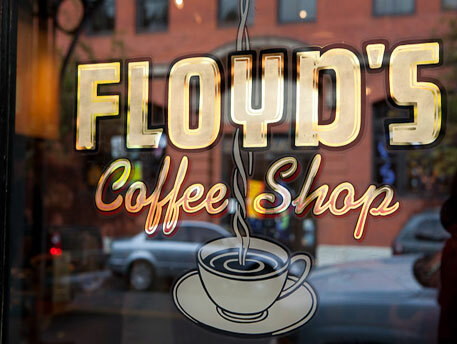 Our first Google Offer will be from beloved local java shop Floyd’s Coffee. Husband-and-wife team Jack Inglis and Cris Chapman opened Floyd’s seven years ago, offering up espresso, coffee, breakfast burritos and more. They now have two convenient locations—one cozy, brick-lined shop in Old Town and another Stumptown watering-hole in Buckman. With Google Offers, we’re working with great local businesses like Floyd’s Coffee, Le Bistro Montage, Powell’s Books and Ground Kontrol Classic Arcade to help them reach more Portlanders. We hope to bring Google Offers to other cities soon, with New York City and the San Francisco Bay area as our next stops. You can learn more about Google Offers and sign up at google.com/offers. If you’re a business interested in participating in Google Offers, you can let us know too. Finally, if you’re at the Portland Rose Festival this Saturday, visit our Google booth at CityFair to say hello to our team and learn more about Google Offers. Earlier this week at the National Restaurant Association’s convention at McCormick Place in Chicago, the Google Places team met with hundreds of business owners to share with them all the benefits of Google Places. Our goal was simple: show business owners how Google Places can help them get found online and engage with their customers. After claiming their business listings, business owners received our “Recommended on Google” window stickers. These interactive stickers have Near Field Communications (NFC) technology built right in, enabling people with cutting-edge phones like the Nexus S to simply touch their phones to the sticker to pull up that business’s Place page — containing relevant info about that location from across the web — on the map. A big thank you to the National Restaurant Association for having us, and to all the business owners we connected with at the convention. Keep in touch with us here on the blog, and on Twitter and Facebook. Starting today, Google Places will be at McCormick Place in Chicago for the National Restaurant Association’s four-day annual conference of restaurant owners and managers. We’ll have a booth on the convention floor, so swing by to meet the team and learn about all the great ways Google can help you better manage your presence online using Google Places. Haven’t claimed your Place page yet? No problem, we’ll get you started right then and there so you can start getting more customers in your door. On Sunday, we’ll give a keynote address about our suite of local products, including Google Places for business, our ratings and reviews tool, check-in offers and AdWords online advertising. Don’t miss it! We’re excited to team up with the NRA Show this year, and look forward to meeting all you business owners out there to hear your feedback and questions. See you in Chicago! Google Apps highlights" and subscribe to the series. - Ed. Google Talk is built on open protocols for instant messaging, making it possible for other IM networks to connect seamlessly with Google Talk. Yesterday we rolled out improvements to make chatting with your AIM buddies even easier in Gmail, iGoogle, Orkut and Google Talk on Android devices. Now you can invite your AIM buddies to chat from any of these places just by entering their AOL screennames, even if you don’t have or use an AIM account. 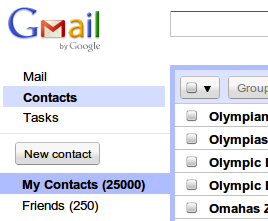 We’ve heard from a surprising number of super-connected people who wanted to save more contacts in Gmail than its 10,000-contact limit allowed, so a couple weeks ago we made Gmail better by supporting up to 25,000 contacts. You can also save even more information with each contact, so if you were previously bumping up against the limits, you should have a whole lot more extra space for your contacts now. Google spreadsheets now has another tool to help serious dataheads make sense from large data sets: pivot tables. With pivot tables, you can easily summarize rows and columns of information, helping you quickly spot patterns in the information that you might not have noticed otherwise. If you’re new to pivot tables, we made a short video to show what you can do. IT staff members in large organizations don’t all need the same level of control in their Google Apps environment. For example, a university IT help desk should be able to reset lost passwords for students, but probably doesn’t need to modify school-wide email settings. On Monday, we made Google Apps much more flexible by introducing delegated administration, which lets full administrators assign partial administration privileges to other individuals. In the last three weeks, we’ve seen more than 60,000 organizations choose our cloud products for their communication and collaboration needs, and this week a couple international customers stood out from the crowd. Oxygen Design Agency based in Toronto, Canada chose Google Apps and avoided a big investment in traditional email servers when their previous email solution started to break down. With Google Apps, their downtime woes have disappeared, designers can stay in contact when they’re meeting clients and the system is much simpler and more affordable to manage.EAT. has more than 100 restaurant locations and 1,700 employees in the U.K. They serve fresh, healthy food—as well as kilobytes to customers through technology programs like an iPhone ordering app, free in-store Wi-Fi, a Twitter feed and a tap-to-pay system. EAT. selected Google Apps to replace their old system to get away from complex, costly upgrades, achieve hassle-free scalability as their business expands and securely support a wider array of mobile devices. offers small businesses hundreds of ways to leverage the power of the web to work more efficiently and focus scarce time and resources on getting ahead of the competition. To celebrate National Small Business Week, we’d like to share a few of the ways that Google Apps is being used every day (we’ll spare you the time of wading through hundreds). And to make it even easier to get started on tasks such as invoicing and project planning, all examples provided are based on templates from the Google Docs and Google Sites template galleries. #1: Letterhead - Create a professional looking template for your outgoing letters and share it with others in the company. Print letters directly from your browser with Chrome. #2: Budget planner - Easily build a 12-month budget spreadsheet that you can edit from anywhere throughout the year – no matter where your spending takes you. #3: Invoice - Save time by creating invoices in a spreadsheet – totals are automatically calculated, and you can share them with co-workers to ensure accuracy and speedy payments. #4: Customer satisfaction survey - Get feedback from customers and visitors about your product or service with a form. Easily analyze and graph the data. #5: Business plan - Put your vision down in a doc. Share it with family, investors, banks, and others to get input and spread your ideas. #6: Project timeline - Give others in your company insight into key milestones, completion dates, and other project details. #7: Intranet - Build an internal website where employees can access company news, employee training information, company policies, holiday schedules, and more. #8: Project site - Centralize project information in one place. Display a team profile and key dates, and embed project docs and spreadsheets directly in the site. #9: Team site - Create team rosters, schedule team meetings, and track progress of action items all in one place. #10: Employee profiles - Build a community by creating profile pages where your employees can post their goals, internal resume, and internal blog. The list continues but we hope this gives some idea of the range of use cases where Google Apps can help improve productivity for any small business. To learn more, check out some of our new resources including product videos and additional templates at www.google.com/apps/smb. Talking to our small businesses customers, we see they have a passion for what they do and a drive to succeed. On the Google Apps team, we have a passion for helping small businesses succeed by providing them with access to the same technology that large enterprises often have at their disposal. Google Apps offers small businesses hundreds of ways to leverage the power of the web to work more efficiently and focus scarce time and resources on getting ahead of the competition. What Can Google Answer to Help You Grow Your Business? five tips to empower your business with online tools and resources. Because it’s National Small Business Week, we’re also taking the time to reflect and find additional ways we can help businesses like yours. Online marketing and technology products may not central to why you started your business, but they can be central to growing your business. In honor of National Small Business Week, we want to answer your questions about online marketing and technology products designed for small businesses. We want to hear what’s on your mind about how you can use technology to start and run your business. Your question could be about using technology and online resources in general or about Google products and services specifically. If you have something to share, head over to our Google Moderator session where you can add a new idea or you can vote on ideas that have already been submitted. We’re excited to hear from you and we hope you’ll take a few minutes out of your day to let us know what you’d most like to hear about from us. Just by sharing what’s on your mind, we get a better sense of what we can improve and where we can help make things easier and more efficient. On Monday, we gave you five tips to empower your business with online tools and resources. Because it’s National Small Business Week, we’re also taking the time to reflect and find additional ways we can help businesses like yours. Online marketing and technology products may not central to why you started your business, but they can be central to growing your business. Your website is your face to online customers - are you greeting them at the door with a smile? Your site should engage with new customers, make it easy for them to find your product or service, and maybe earn you a little extra revenue. This month we share some quick strategies to help you get the full value from your website. P.S. Have some feedback about this newsletter? Please let us know what you think. Pass the 8 second test. A visitor should understand the purpose of your website within a few seconds. Tell them what's in it for them. Highlight tangible benefits that potential customers can gain from your product or service. Will they be able to save money? Time? Buy a one-of-a-kind gift? 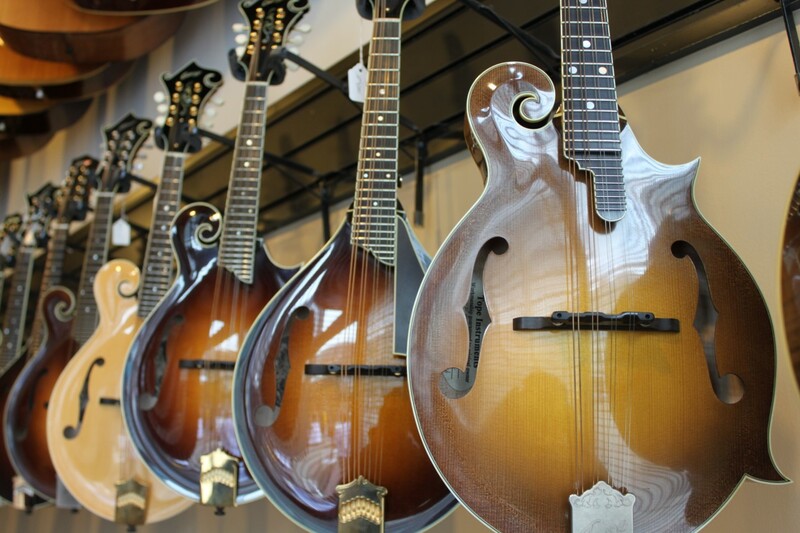 Help visitors to your site take the steps towards making a purchase. Make those steps clear and easy to reach. Which image or call to action will lead to more sales on your website? Free tools like Google's Website Optimizer make it easy to test different versions of your site and view the results. Can you tell which webpage version below performed better? Universal Technical Institute redesigned their website using Website Optimizer, and saw a 300% increase in conversion rates (read more). Your site's most important job is to promote your business and make it easy for potential customers get the info or product they want. But you can also make extra revenue by using Google AdSense to show relevant ads on your wesbite. It's free and quick to set up (you can even use your AdWords account to sign in). We know you're busy, so we've created a new AdWords feature to save you valuable time—Automated Rules. With Automated Rules, you can tell your account what to do in advance. For example: you can set your budget to be higher on peak shopping days and lower during the rest of the week. 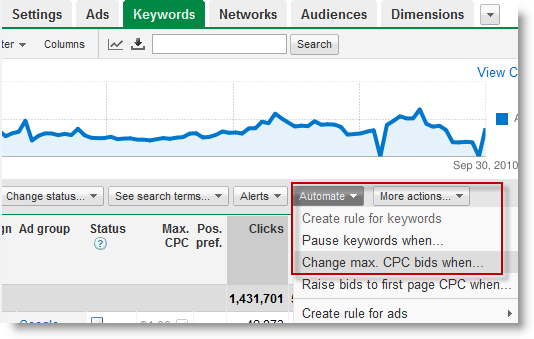 You can also automatically change your bids for keywords based on their click-through or conversion rates. Ready to try it? Visit our Help Center to watch a quick video about Automated Rules or to get detailed instructions with screenshots. TeAch-nology.com, a web portal for teachers, found a hidden source of revenue on their website. A longtime AdWords advertiser, founder Paul McKee noticed his ads showing on other education sites, and was impressed with how well the ads matched the content. He wanted to try showing ads on TeAch-nology.com as well, to explore how much revenue he could earn. He tried Google AdSense, a free, easy way to earn revenue by showing relevant ads alongside online content. McKee found that AdSense ads drove 8 times more revenue than other forms of contextual advertising did. AdSense now accounts for 50 percent of company income. "We don't have a full-time ad sales team," McKee noted. "AdSense takes care of itself, allowing us to focus on running our business." Read more about using AdSense to complement your AdWords account, and see if you can maximize revenue from your online content. You may be used to zooming in and out on Google Maps to discover the world around you, from a neighborhood park to a hotel across the country. With Google body browser, an educational tool from Google labs, you can explore the human body in the same way. Start off with a clickable, rotatable, 3-d image of a person. 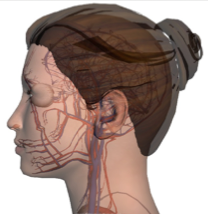 Drag down the slider to see layers of the human anatomy revealed: muscle tissue, bones, organs and nerves. Wondering what that femur you broke while ice skating looks like? Use the search box, which lets you find and highlight specific parts of the body. This week is National Small Business Week, an opportunity to celebrate the spirit and ingenuity of small businesses like Everblue, a start-up in North Carolina. 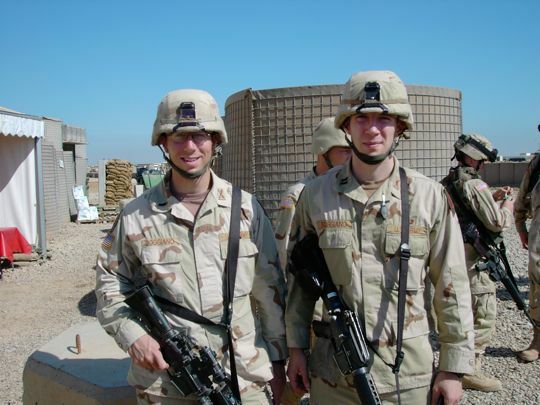 Everblue was founded in 2008 by veterans Chris and Jon Boggiano along with fellow entrepreneur Grant McGregor. The brothers’ goal was to make the U.S. more energy independent by helping people get certified in sustainable building practices. With old-fashioned hard work and some help from Google AdWords, their business has quadrupled in size. They now have 80 full time employees and instructors, and this year alone they’ll train tens of thousands of people—architects, engineers, electricians and others—to build smarter and greener. Chris and Jon Boggiano, veterans and co-founders of Everblue, a training institute for sustainable building. Today we’re announcing that Google provided $64 billion of economic activity to businesses, website publishers and non-profits in 2010. This is an 18% increase from the economic impact total in 2009. Here’s how it works: for every $1 a business spends on Google AdWords, they receive an average of $8 in profit through Google Search and AdWords. We’re proud that Everblue and over one million American businesses use our advertising services to tell consumers about their products and services. Learn more at google.com/economicimpact. As a small business owner, you work hard every day of the year to serve your customers and communities. This is the week of the year when our country officially recognizes and celebrates you! Here in the US, we have over 27 million small businesses who are vital to the fabric of our communities, sponsor our little leagues, give character to our Main Streets, and provide two-thirds of the nation’s jobs. We’ll be celebrating the week in Washington DC at the Small Business Administration’s event honoring small businesses, themed ‘Empowering Entrepreneurs.’ In the spirit of empowerment, we’d like to offer some recommendations on how you can strengthen your business this week with easy tools and resources. Day One: Make sure you’re showing up in natural search results. The easiest, thriftiest way to reach people online is to have your website show up in natural search results. To ensure your most recent website can show on Google.com, submit your URL to Google. Day Two: Make sure you’re showing up on local results. In one out of every five online searches, a customer references a location. If you have a brick and mortar business or are a local service provider, this is huge for you. Make sure you claim your online business listing with Google Places so you are eligible to show on Google.com and Google Maps. Day Three: Evaluate your marketing plan and performance. When was the last time you reviewed your marketing strategy, or evaluated the success of your marketing campaigns? This week, set aside some time to think about your marketing objectives for the remainder of the year. If you’re new to online advertising, take this opportunity to create your first AdWords account. If you’re an existing Google AdWords advertiser, spend time evaluating the performance of your account this week, or check out useful tips at the AdWords Online Classroom. Day Four: Join a National Small Business Week Forum. On Thursday, 5/19, the SBA will be hosting two forum discussions as part of the National Small Business Week celebrations - one on social media, and one on becoming a high growth, high impact business. Both of these forums are open to the public. If you’re too far away from Washington DC to attend in person, go here for a live webstream. Day Five: Encourage customers to review your business online. People are frequently turning to social review sites for business information. With Google’s new +1 button, your customers can also recommend your business right on Google.com. You can also ask them to rate and review your business on Google Places. Be sure to check back here throughout the week for updates from Washington DC! pilot, we’ve been photographing businesses, with their permission, to highlight the qualities that make their locations stand out. In addition to the photos that business owners can upload directly through Google Places, these photos help potential customers get a better view of the decor, merchandise, food, and more on each business’ Place page. We’ve also been taking 360-degree photography to help businesses owners showcase their locations further, and starting today you can experience that panoramic perspective for select businesses in the United States, Japan, Australia, and New Zealand. 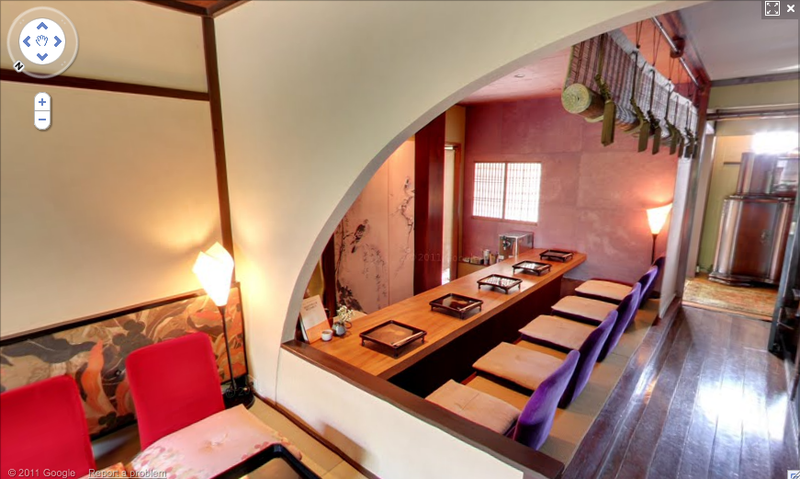 This experience, using Street View technology, includes 360-degree imagery of the business interior and storefront. With this immersive imagery, potential customers can easily imagine themselves at the business and decide if they want to visit in person. We’re now starting to make these images available through the Place pages of select businesses we’ve photographed. When 360-degree imagery of a business is available, you’ll see an arrow appear over the thumbnail Street View image on that business’ Place page. Press the arrow to preview the storefront or interior, then click on the thumbnail to see the image in Street View. With this pilot, you'll begin to see additional photo experiences on the Place pages of a growing number of businesses. As additional imagery becomes available for more locations in the coming months, you’ll also be able to enter the interior perspective of businesses directly from the Street View images of nearby roads on Google Maps. We’re continuing this program with businesses in select cities in the United States, Japan, Australia, New Zealand, UK, South Korea, and France. If you would like to highlight your business to Google Maps users, please visit the Business Photos site to learn more and apply. When I’m looking for a restaurant in San Francisco, I always browse photos to see if the ambiance is right for the occasion. With our Business Photos pilot, we’ve been photographing businesses, with their permission, to highlight the qualities that make their locations stand out. In addition to the photos that business owners can upload directly through Google Places, these photos help potential customers get a better view of the decor, merchandise, food, and more on each business’ Place page.